This is a delightful book that combines a bit of everything: historical fact, personal biography and fantastic sagas or stories. 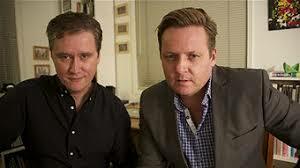 Richard Fidler is an Australian radio commentator with the ABC while Kári Gíslason, who is part Icelandic, is a lecturer and a writer based in Brisbane, Australia. The two met when Richard interviewed Kári about a book he had written on Iceland, after which they became firm friends. 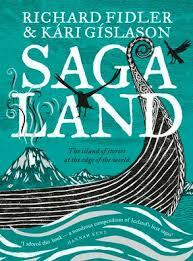 Saga Land revolves around several trips Richard and Kári make to Iceland, where Richard is collecting material for radio broadcasts, and both are putting together a book not only about Iceland as a place but also about Iceland as a treasure trove of stories. 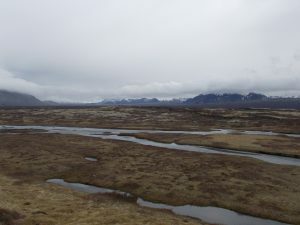 The third reason for their trips to Iceland is to let Kári connect with the extended family he never knew he had, and later to trace Kári’s family tree back to Iceland’s foremost story teller, Snorri Sturluson. The structure of the book – alternate chapters written by the two authors – is, like the writing itself, friendly and accessible. This is quite a feat given the amazing scope of the book (10th century through to the present day), as well as the very long parade of characters and events. The sagas are the stories of the Vikings who settled Iceland in the ninth and tenth centuries, and as well as telling of the many family feuds, where honour could only be retained by killing the person who killed one’s family member, they are heavily grounded in Norse mythology. 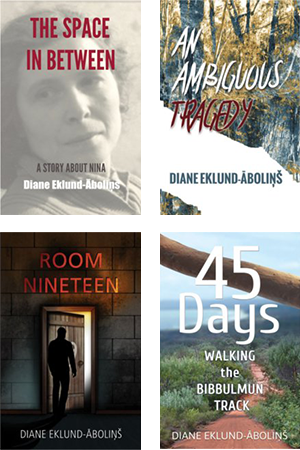 The many stories – most of them with violent or disagreeable endings – are woven together with Richard and Kári’s travels through the amazing place that is Iceland, and they sustain interest in the book right to the very last page. This is definitely a book I would recommend, even to those of you who have no Viking ancestors.